He’s so fair. Maybe, just maybe…. The Shi family is really vile in their ways to retaliating what Xiao Nian did. I mean, why adopt her in the first place then?? Xiao Nian falls into a mute state due to all the bad reps media is giving her and our president tries his best to get her responsive again, albeit a bit rough at it coz he is still our dear president psycho. 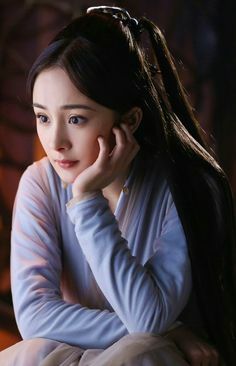 Turning point for our main leads come when Gong Ou realizes that maybe she’d be better off with Qian Chu (her first love) and tries to dump her in front of Qian Chu’s house. Okay, I’ll give him likes for finally considering her feelings although it’s way due. Then, he had to go and bite her hand which considering it’s Gong Ou, it’s minimal damage already. Omigosh, I’m right, he is a VAMPIRE! I’m starting to think, that this episode should be actually named, The taming of President Psycho. Look how nicely our obsessive president is behaving nowadays! Aww, Gong Ou opens up to Xiao Nian too and talks about his brother. The unbelievable part is where his father didn’t want to cure his paranoia because he believed this would help make Gong Ou more successful. Okay chaebols, whatever you say. Okay, poor Qian Chu first is blind, then has amnesia, then his first love gets taken away. Now, he boards a plane that crashed. The author is just too biased. Maybe he didn’t board the plane after all. Coz if he survived, that would be dragging it too far. If the first two episodes laid mystery behind Maki and Beppu , this episode shows Suzume-chan’s backstory. Suzume-chan’s father had told her that she had psychic powers and then used his daughter to appear on television, garnering the Little Magic Witch title. When the fraud was exposed, her father went to jail and Suzume was labelled a liar. As her father lies on his deathbed, he wishes to meet her again. I can’t helo but think about how Suzume is often told or convinced into doing something she isn’t really willing to. Her father was the first, and now this obaasan. Suzume becomes disturbed by her past and she choose to not confide in anyone. Maki notices though. When Suzume hears that her father passed on, the moment is shared with Maki. All the things she never probably told anyone, she poured it to Maki. Yay for girl bonding! And to Suzume, this quartet was a place she belonged. Her fear of being isolated again is real and she has showed time to time how she coped with just smiling it off. How much pain would she have had to cover up everything by pretending she’s cheerful? And the story behind her love of cello was also so poignant yet understandable for the young Suzume who had no one to protect her. Looks like next episode will feature our no-pants man, Iemori. Can I just say that Park Bo Young needs a Juliet role ASAP? She looks GORGEOUS! Our assailants who intruded Min Hyuk’s home were of course wrapped up nicely with bruises by Bong Soon. They are also graciously given blanket to ward off cold floors and well-fed. While victim count increases, Bong Soon is yet again dragged into training by Min Hyuk. Allowing THIS to happen. Because skinship is vital. Love how the gangster boss has to make hospital visits to see which of his underling got beaten up today. So much comedy there. Episode 8 starts with Min Hyuk still not giving Bong Soon the bone she’s been chasing after (work at the game strategy department) because he wants to spend more time with her. And Bong Soon just rattles on about how he didn’t want to give her the work in the first place (not knowing he’s just being coy coz boy’s in love). And threatens to quit. Which launches Min Hyuk into anxiety. HA. Bong Soon finally levels up as she manage to control her super-strength…but still manage to beat our neighborhood gangster patrols to a pulp with neater moves. Despite dragging Bong Soon to be his fake fiancee, it doesn’t seem like there’s too much drama behind it. No makjang and all feels peaceful within the Ahn family, for now. We know Bong Soon is slow but she is finally getting close to the fact that Min Hyuk isn’t gay. It’s just a slow process we are going through here but all the sweetness makes it worth the wait. Min Hyuk finally takes the step! It was a confession but our poor Bong Soon just can’t wrap her head around it yet!! And Bong Soon’s disappointed when he turns away again. FINALLY, she realizes that he’s growing on her.